Today is World Pizza Day! Check out Pizza Hut's World Pizza Day Promo! 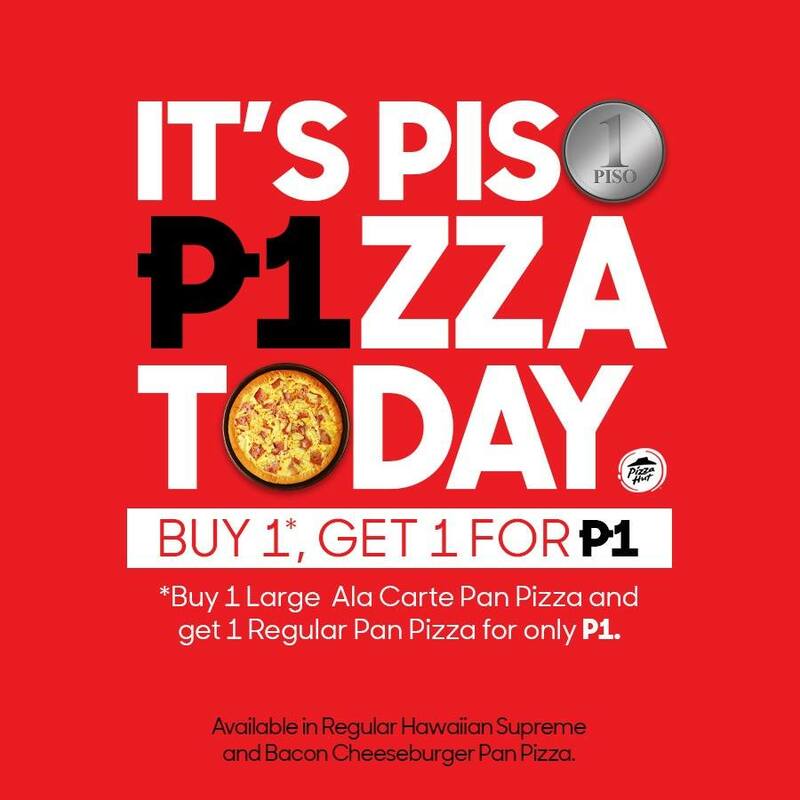 Buy a Large classic or specialty ala carte Pan Pizza and get your choice of a Hawaiian Supreme or Bacon Cheeseburger Regular Pan Pizza for only P1! 1. Promo is valid when customers purchase 1 large classic or specialty ala carte Pan Pizzas Only. 2. 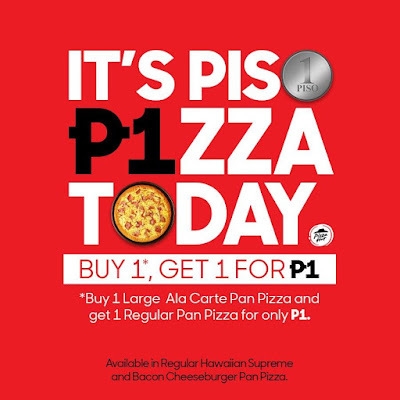 Customers will get (1) Regular Hawaiian Supreme or Bacon Cheeseburger Supreme for only P1. Only (1) Piso Pizza per (1) ala carte pizza purchase is allowed. 3. Promo is good for 1 day only, February 9, 2019 following the regular store and delivery operating hours. 4. Promo is valid for dine-in, take-out and delivery. 5. Dine-in orders are subject to 10% service charge, while delivery orders are subject to P40 delivery charge.